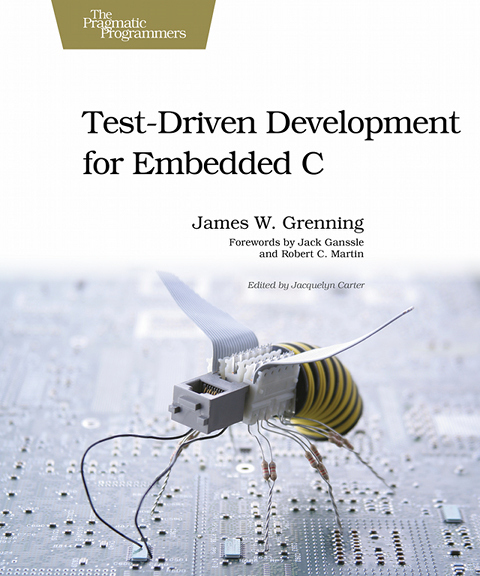 James Grenning, founder of Wingman Software, is the author of Test-Driven Developement for Embedded C.
Download the first 16 pages with table of contents, quotes and forewords. Download an exerpt from TDD for Embedded C explaining the problem solved by TDD, what it is, and benefits to expect. Buy the paper or ebook here. Please respct my work and our no DRM policy. Don't use pirated copies. Have you read Test-Driven Development for Embedded C? Please write a review for Test-Driven Development for Embedded C at Amazon or Good Reads .